Tekashi 6ix9ine cops a plea deal with the government where he will testify against ex-gang members. Tekashi69 is in a world of legal troubles, and he knows it. The “FEFE” rapper, whose real name is Daniel Hernandez, pleaded guilty to nine counts of federal racketeering, drugs, and gun charges and will testify against his fellow Nine Trey Bloods gang members including his former manager Kifano “Shotti” Jordan. For most of us, this is not surprising, since 69 and his attorneys have been paving the way for this plea deal from the beginning. The “Day 69” rapper was arrested in November and charged with six counts of racketeering, gun, and drug charges. He has been unable to secure bail since then, and federal authorities say his life is in danger because his fellow gang members were plotting to kill him. TMZ reported that Tekashi 6ix9ine took the plea deal on January 23, but the details never came out until Friday. 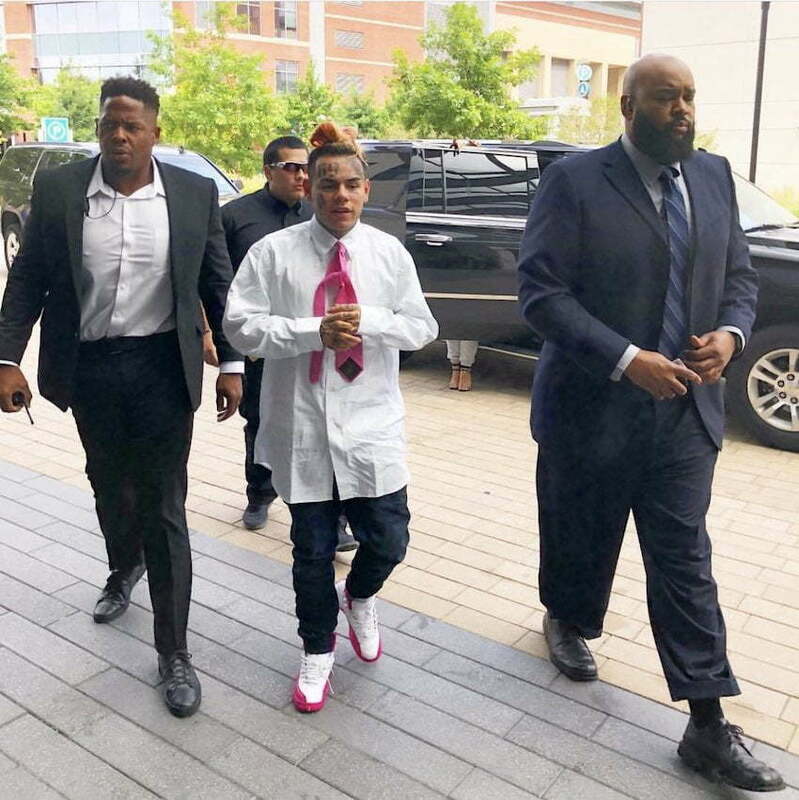 He pleaded guilty to at least nine counts including “multiple counts of racketeering, conspiracy, firearms offenses, and narcotics trafficking.” Tekashi69 was facing life in prison if he was convicted on the charges laid against him. It’s now unclear what he will get in return for his cooperation with the government. He may get a reduced sentence, or he may get no time behind bars and ultimately place in witness protection. The indictment was unsealed this week, and it paints a dark atmosphere around 69 and the Nine Trey gang which federal authorities accused of murder, armed robbery, extortion, and the trafficking of drugs including marijuana, ecstasy, heroin, amphetamines, and fentanyl. Tekashi 6ix9ine also admitted to his involvement in Chief Keef shooting where he told authorities that he paid someone $30,000 to fire shots at the Chicago rapper. Two of his former associates were indicted for shooting at Keef and 69 will testify against them in court. The plea deal will likely mean the end of 6ix9ine’s rap career since he has officially turned snitch. What will transpire over the next couple of months should be interesting.